Happy New Year + A Giveaway!! Hey, money saved is money saved! It absolutely does pay to verify information with your insurance company and medical claims though. I called our insurance company and the OBGYN’s office 2 to 3 times a month for 15 months to get that $420 refunded. If I would not have looked into the claim and gone back to our coverage and saw that Maternity Care should have been 100% rather than the 80% they covered, I would have never gotten that money back. Visiting you from SITS Saturday Sharefest! Congratulations on your journey to becoming debt free! My husband and I went through this process back in 2011. Medical bills can really wreak havoc on your budget, but it was nice that it was less than what you thought it was going to be. That’s a great feeling! Thanks for stopping by Tonya! 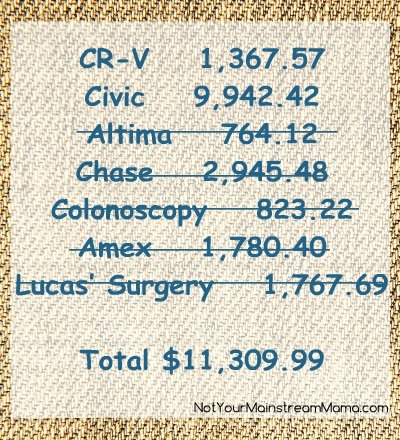 Medical bills make me sick to my stomach, too. We can avoid going into debt for things, but when someone is unwell we just don’t have many options. Ugh! Congratulations on all the progress you’ve made. I hope you’re feeling more peace of mind at the end of the year than you did at the beginning. Thanks for sharing your story. It helps. Happy Sharefest and best wishes for a wonderful new year. Exactly. 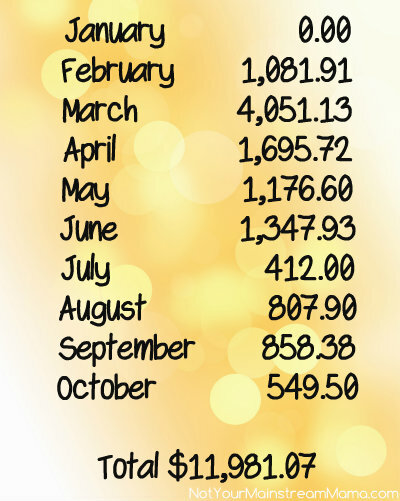 Yes, the end of the year is looking much brighther than the beginning as far as finances go. Thanks for stopping by! What an awesome surprise! Almost like an early Christmas! Y’all have done really well over the last year to get things paid down, so even if you didn’t fully make your goal, don’t sell yourself short! Congrats on becoming debt free. There is no greater feeling than having no debt, besides a mortgage and regular bills. We live mostly on cash since a bankruptcy. I never want to go back to those days! Keep chipping away at it and you’ll make it. Well we do still have the one debt debt of the Civic loan left. But yes, it feels so great to be where we are! Thanks for stopping by!